Although I trained to work with Australian Bush Flower Essences to the level of Advanced Practitioner and have been working with them ever since I qualified, I have just made the decision to stop. In many ways this feels like a strange decision as I know how effectively they work and how they support healing. I also like the fact I can give clients something to take away with them…..but…. I have for a while now been feeling that using essences that come from the other side of the world is not the best thing to be doing. I have also been aware that the dosage I need to prescribe the essences in is far higher than the standard dose would be in Australia. Sometimes I have even prescribed the essences to be taken as stock essences rather than watered down into prescribed ones. Working with a pendulum to determine the strength and dosage of essences means that I can always tell what is needed and it really does vary from the standard dose in most cases. As part of my training I learnt to make essences, have made them in the past and this is now what I am drawn to do. Working with plants that are native really feels the right way to go as these are the plants that resonate with those of use who live in this environment. I do know that I could buy local essences from others who are already making them but again this doesn’t feel the right way to go. 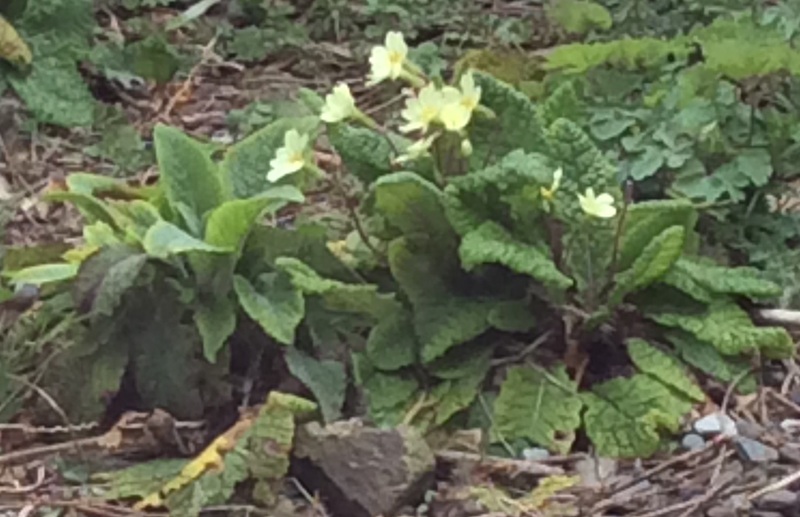 Sitting with the plant, connecting with its spirit, journeying to meet its spirit, listening, observing, testing by taking the essences, really does feel the best way to move forward now and so yesterday saw me doing just this with Primrose. I am lucky with the weather as to make essences I need sun and for once sun is what I have. Lots and lots of it 🙂 My Primrose Mother Tincture is now made and so I am looking forward to really meeting its spirit, getting to know it, not from a book and from what someone else says, but from journeying and first hand experiential work. I recognise that it will take me a while to build up a stock of Mother Tinctures for I can only work with the plants as they come into season but in a world that is always in a hurry, where everything can be bought at a price, there is something very special about having to slow down and to work directly with nature at its pace not my own or anyone else’s. In view of my last post relating to the Solar and Lunar Eclipses and all that has been going on Nourishment, the connections card I drew this morning seems very appropriate. I have really got the feeling recently that all we can do at the moment is to nourish and take care of ourselves, roll with it and wait until everything settles again, as it surely will. Breathe deeply, turn your focus inwards and go deeply towards your innermost being. The deeper you can go the more you will make sense of what you need to do for yourself. Allow the thoughts, feelings or words to bubble up from deep inside you and then give yourself permission to act upon them’. For me, as I allowed myself to do just this immediately after receiving the message this was a really interesting experience, for what I received from my innermost self was the exact opposite to the way I have been feeling. I have been feeling lethargic, tired and had little interest in doing much but the message I received was to open up and expand. I hope working with Nourishment is just as interesting and enlightening for you.